Eyes are precious God gifted organs which give you the power of vision to see the beauty of life. To protect and rectify the power of vision of your precious eyes, contact lenses came into existence. Contact lenses have become trendy as they are handy in nature and easily adaptable to your eyes. The use of contact lenses in India is now in fashion as the people want to correct the vision of eyes in the bracket of style. Nowadays number of people who are suffering from any vision problem are continuously rising at a rapid rate due to the fact that the major part of the society are computer professionals or sit in front of the computer screen for longer durations of time for their professional or personal task. The harmful radiations coming from the monitor screen of the computer, laptop or television can render several ailments to your precious eyes. The ultra violet rays coming from the harsh sun can also cause damage to your eyes and deteriorate the vision of your eyes. To rectify the vision in terms of style, Johnson and Johnson contact lenses are widely available in the Indian market. A well acclaimed American multinational brand which is totally engaged in the production of medical devices, pharmaceutical and consumer packaged goods, Johnson & Johnson incepted in the year of 1886. The company is headquartered in New Brunswick, New Jersey, United States and the consumer division is located in Skillman, New Jersey. In 1980’s, Johnson and Johnson licenses and refines a cast-molding manufacturing technology and was firstly introduced in USA and different regions of Europe. In the 1990’s, Acuvue was launched in several regions of Asia and Acuvue was firstly launched in the year of 1997. With the passage of time, in 2000’s various advanced contact lenses were developed for specific eye vision problems. The brand Johnson & Johnson has around 250 subsidiary companies which are operated in more than 57 countries and sell its products in over 175 countries. The vast popularity and growth of the brand in the international market can be estimated from the fact that the sale revenue of pharmaceutical products reached $65 billion in the calendar year of 2011. Johnson & Johnson Vision Care has a partnership with several eye care professionals to deliver unmatched quality of contact lenses. Vistakon is the maker of the world leader brand, Acuvue which is famous for producing soft disposable contact lenses across the globe. The leading sub brand of Johnson & Johnson, Acuvue is headquartered in Jacksonville, Florida. Whenever, the topic comes to contact lenses, Johnson & Johnson contact lenses come first in the list. Johnson & Johnson Vision Care is a well reputed name in the segment of manufacturing and distribution of reliable contact lenses for eyes health care across the globe. The brand is totally engaged in the production of contact lenses and fully determined to offer vision to your precious eyes. From the date of inception, the brand has always strived hard to offer exceptional and innovative vision rectifying options which lead to propel the graph of its success in the world. The team strength of highly motivated and experienced skilled professionals of the brand is always engaged in innovating with its long line of vision care products to offer world’s most efficient eye care. The brand Johnson & Johnson has developed awareness among the people and its long line of contact lens products is capable to rectify several vision problems of your precious eyes. Johnson & Johnson contact lenses meet the quality of international standards and the firm commitment of delivering high quality standard makes the brand Johnson & Johnson a world leader in the global market. 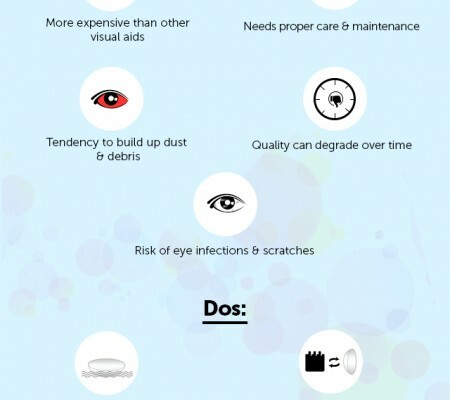 In the present scenario, contact lenses in India have become a fashion statement among youth who are suffering from any vision problems or have a bend towards fashion. The wide popularity of Johnson & Johnson contact lenses amongst people has made it a reliable and trusted eye care brand in India. Outstanding contact lens products from the brand you trust, Johnson & Johnson gives a new direction to the technology of contact lenses in India. Johnson & Johnson contact lenses are capable to uncover the hidden beauty of your gorgeous eyes. 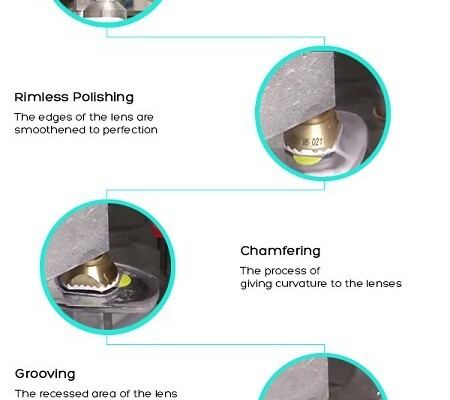 The long product line of optically advanced Johnson & Johnson contact lenses include Acuvue Oasys, Acuvue Oasys with Hydraclear Plus, 1 Day Acuvue Moist, Acuvue 2 Bi-weekly Contact Lenses and Acuvue Clear contact lenses to cater different vision related requirements of the customer. Acuvue Oasys with Hydraclear Plus, 1 Day Acuvue Moist, Acuvue 2 Bi-weekly Contact Lenses and Acuvue Clear contact lenses are suitable to use to rectify eye problems like Myopia and Hyperopia. On the other hand Acuvue Oasys is suitable to correct Astigmatism problem of your eyes. Some Johnson & Johnson contact lenses are daily disposable types which are easy to clean and disinfect on daily basis. These Johnson & Johnson contact lenses use an advanced Lacreon technology that holds moisture for a long time to offer fresh and comfortable experience to the wearer’s eyes. It’s Oasys and 2 Bi-weekly series of contact lenses can be replaced after every 2 weeks with utmost ease. 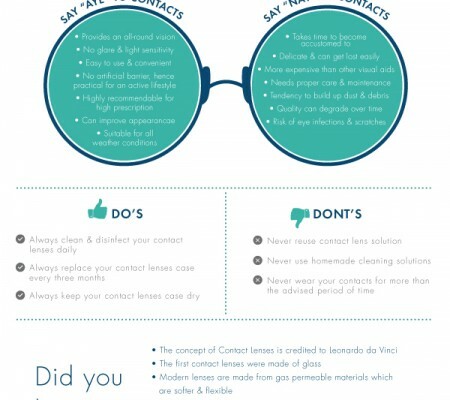 On the other hand Acuvue clear Johnson & Johnson contact lenses can be used on a monthly basis. Thus Johnson & Johnson contact lenses provide healthy comfortable eyes even during the toughest days or surroundings. Soft Johnson & Johnson contact lenses are quite popular amongst people as these are easy to wear and deliver more comfort than Rigid Gas Permeable (RGP) or hard contact lenses and here is the end to your search for soft contact lenses as the sub brand Acuvue offers a complete range of soft contact lenses in the market. Online shopping is the best way to buy different contact lenses as it saves your time, money and energy. To buy contact lenses online you have to visit different e-commerce websites and make a required selection with just a mere click of a mouse. Whenever you are going to buy contact lenses just make sure about the quality, material used and the comfort level offered.